The 10 Best Pho Restaurants in Utah! When the craving hits, nothing is as refreshing as a hot bowl of pho with authentic flavors and fresh vegetables. Pho—the warm, Vietnamese noodle soup of your dreams—is a trend that has sky rocketed in popularity all across the country. In Utah, pho’s prospects are looking as bright as ever. Here are the 10 best restaurants for pho in the state. Pho Plus is one of Utah Valley’s most popular Vietnamese restaurants. 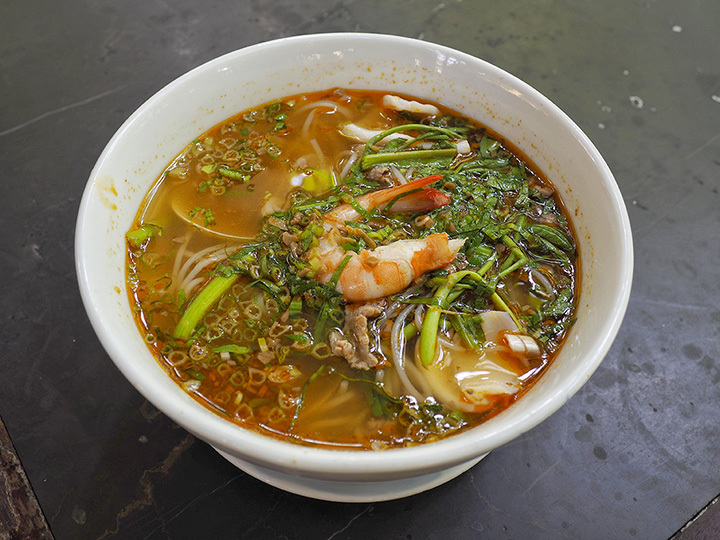 Pho lovers rave about the restaurant’s consistency and its diverse menu. Given the restaurant’s popularity, both locations remain busy during meal times, but the service is quick and efficient. Because so many college students eat at Pho Plus, the restaurant feels hip and fresh. It is also relatively cheap. I'm in Utah!!! I was sent for work and don't have a lot of time for sight seeing outside of Provo but will be trying to eat all of the food while I'm here! If you're familiar with Provo and/or Salt Lake and have recommendations, throw me a line! This restaurant feels fresher than fresh. An open space accented by creative murals on white walls, the interior of the restaurant has an urban vibe that enrichens the pho experience. This is a great place for date nights, a dinner with friends, or even a solo pho session. Go on a rainy day and you can slurp delicious pho in the comfort of the restaurant’s cozy cleanliness. Pho Tay Ho is simple: great, fresh pho at awesome prices. Some believe Pho Tay Ho has the best (and most authentic) pho in Utah. You’ll be treated like family at Pho Tay Ho—just pull up a chair, order a large meatball pho and a lime ice tea, and prepare to be satisfied. If you want American-Vietnamese food, however, you should probably consider going somewhere else. It’ll be hard to decide what kind of pho you want to order from Pho No.1 Utah given all of the restaurant’s options. On top of that, you’ll have to make some serious decisions about appetizers (spring rolls or pot stickers? Or both?). And if pho doesn’t appeal to all of the people in your dinner party, a plate of the restaurant’s sweet and sour chicken may appeal to even the pickiest of eaters. Pho No.1 Utah is a family-owned and staffed restaurant with delicious food and unbeatable service. La-Cai Noodle House is a place you can trust. This spot has been around since the mid-1990s and boasts a sleek, modern feel. You can get both Vietnamese food and Chinese food here, but the restaurant’s pho is still the star of the show! According to the Utah, pho-loving public, Pho 33 in Midvale is one of the state’s best places to get your slurp on. And this is partly due to the restaurant’s phenomenal broths that give its pho tremendous flavor. Of particular note is the vegan broth—a flavorful option for the vegetarian or vegan pho lover in your life. Salt Lake City’s multiplicity of pho options can feel overwhelming. Little Saigon, however, regularly stands out above the rest. This is in part due to the variety of dishes the restaurant offers, but the restaurant’s variety doesn’t diminish the quality of its pho. If you’re looking for high-quality but well-priced Vietnamese takeout (which includes pho! ), this is an excellent option. SOMI Vietnamese Bistro elevates pho and other Vietnamese dishes with locally-sourced ingredients and a modern approach to tradition. The restaurant’s atmosphere is inviting, the food is thoughtful and delicious, and the concept of the restaurant differs from other Vietnamese restaurants of the area. Head outside of Salt Lake City to West Jordan to experience Pho V. It really is a hidden gem that—to the excitement of its regular customers—evades too much attention. You’ll be sorry if you never get to try their pho and green tea waffles at Pho V.
It isn’t often that you come across a Vietnamese deli. And in Saratoga Springs, this feels like even more of a rarity. If you’re looking for tasty pho, a creamy taro boba tea, and authentic vibes, you should make a point of visiting this spot that is located west of Utah Lake.